Essential quality is experienced through the new Egro Zero, which is distinguished by its attractive, clean design, flexibility and high performance. Egro Zero has been specially designed for locations with medium daily consumption and is dedicated to offering you professional-quality espresso and milk based products. The Quick Milk offers variety of premium espresso and milk beverages. The Egro One Top Milk will deliver the perfect coffee every time, with outstanding performance, excellent design and advanced ergonomics. An easy user interface with new technology to ensure the optimal operation of the machine. Capable of delivering two cappuccinos and lattes at the same time. This machine has the fastest speed of delivery rating in its class. Beverage visuals help the user to monitor the machine’s status constantly by displaying: which drinks are being served, serving progress and the status of the machine. 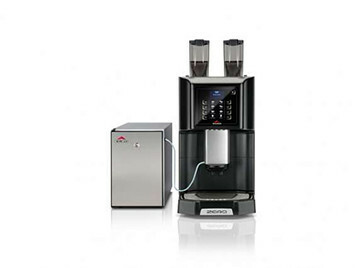 Schaerer’s Coffee Art Plus is a smart beverage solution ideal for hotels, restaurants, chain stores, quick service restaurants, coffee shops, convenience stores, takeaways. 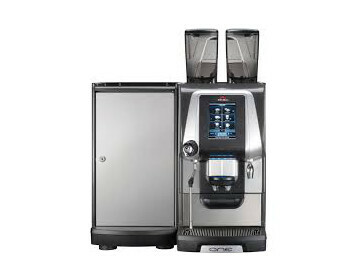 The innovative Finesteam feature gives this model the ability to produce authentic latte or cappuccino milk by delivering the appropriate steam type for the selected beverage. 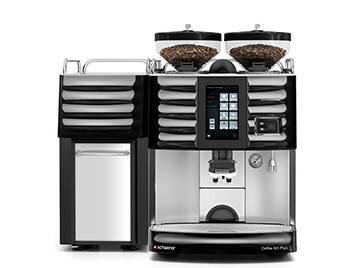 Equipped with dual bean hoppers, accompanied by dedicated grinders—designed to accommodate every type of roast, including regular and decaffeinated coffees, this super-automatic can brew just about any beverage you may require. And, at only 17 inches wide, the Coffee Art will allow you to free up priceless counter space.